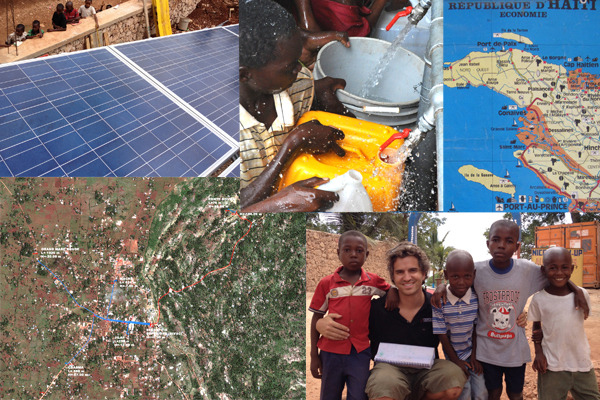 Three years ago Filomondo ONLUS started a water project in Haiti, in the Mawouj Village. Mawouj can be translated into Mare Rouge, or Red Sea. The earth there is red, and when it rains you can see the rivers fill with the red mud, leaving the streets colored in a blood like stain. When it stops raining, people have to walk very far to get their water to drink. This happens every day, women and children spend the majority of their time walking to fetch water rather than studying or developing their country. Filomondo ONLUS is an organization that helps organize collaborative projects like making community wells. They started a water project in Haiti, in the Mawouj Village in 2009. We didn’t know at the time, that some months later an epic earthquake would strike the capital, Port au Prince, making life even more difficult. Haiti still needs help! We are all part of a global community, and everyone can do something to benefit the greater global community. Developing countries must receive help to break cycles. One cycle is now breaking – three years after it’s conception. Water is now flowing at 4 l/sec thanks to a photovoltaic field using solar energy to pump each day. Pumping 15,000 gallons (60.000 liters), Mawouj can finally enjoy safe tap water, giving children more time in their day to study and increase hygiene. The water project is a key milestone in creating a culture of public service and to transform Haiti. We recognize even though Tanaza is a young and small company, we have the capability to support the development of Haiti’s infrastructure using our disruptive technology. So many Haitians have smartphones, but most of them cannot afford to pay for mobile Internet services. However, they can leverage a Wi-Fi connection and a free wireless infrastructure to create a public service transforming life and culture for so many Haitians. Free Wi-Fi would allow for low cost calls, using smartphones as part of the learning process and more. Knowledge and communication is power, and provides for the power to change. With this type of service local Haitians could surf the Internet, learn how a water pump works, learn how to build one or learn how to make repairs. Only three years ago Haitians believed having water in Mare Rouge was an impossible dream. Now that dream has been achieved, they need a bigger dream – the ability to be self sufficient communities. We think Tanaza can help, we can provide our solution to cloud manage 3rd party Wi-Fi Access Points. We welcome Wi-Fi vendors to join the cause. You can learn more about the water project on Facebook.